When the deck is exhausted, players compare the cards that remain in their hands to determine who can score each color. 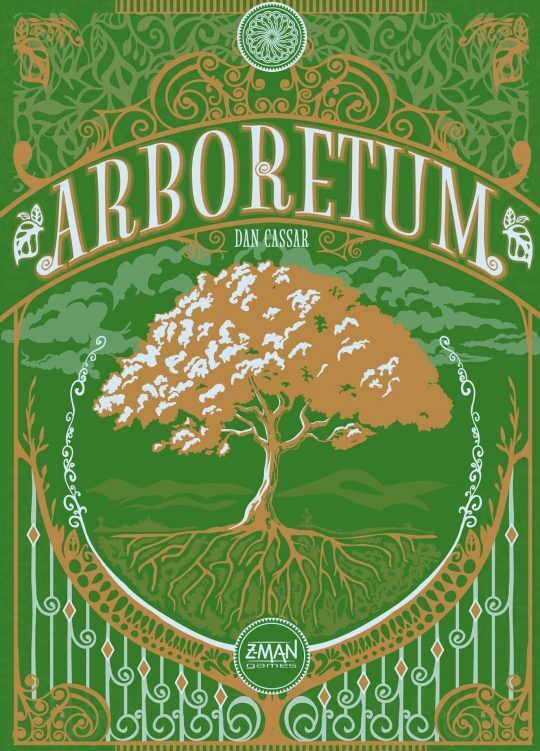 For each color, the player with the highest value of cards in hand of that color scores for a path of trees in her arboretum that begins and ends with that color; a path is a orthogonally adjacent chain of cards with increasing values. For each card in a path that scores, the player earns one point; if the path consists solely of trees of the color being scored, the player scores two points per card. If a player doesn’t have the most value for a color, she scores zero points for a path that begins and ends with that color. Whoever has the most points wins.